Sometimes, fundraising is boring. Monotonous. A drudgery. That’s bad for professional fundraisers (who wants to be bored at work? ), it’s bad for volunteers (they’ll move on to another, more exciting challenge), and worst of all, it’s bad for donors. And that’s why coming up with unique fundraising ideas matters. This is a unique fundraising idea that turns the usual fancy-schmacy fundraising event on its head. Instead of holding a fashionable cocktail party at a high end hotel, hold a hot-dogs and beer event at the Holiday Inn. 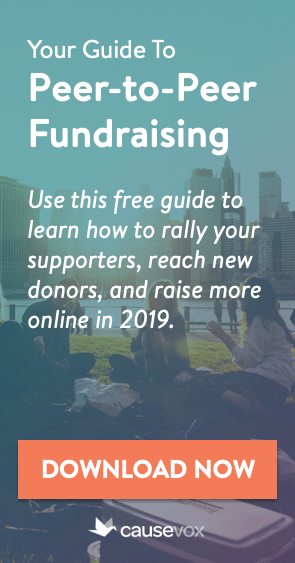 Tell your donors that this year is such an important year for your organization, you want to spend most of the money you are raising on your program or mission, instead of the event. This only works if you still charge the full amount (whatever you used to charge for the fancy event) and are willing to get a little campy with the theme. Are you planning to hold a raffle at your next fundraising event? You may want to try the reverse raffle instead. With this raffle, instead of buying tickets, every attendee gets one free raffle ticket when they come in the door. Only instead of winning a prize, the person whose ticket is drawn will win a “gag” prize with some level of light embarrassment, like having to dance with a group of clowns, having to kiss the club’s four-legged mascot, or having to wear a funny wig and march with the band. People can then “sell” their ticket back to the organization in return for a donation (so they won’t have to be part of the drawing). For an even more creative raffle, you can set it up so that people can sell their tickets back on a sliding scale… the first 10 will be taken back for a $1 donation, the next 10 for $2, the next 10 for $4 and so on. Unique fundraising ideas work best when they are directly tied to the mission of your organization. That’s the idea behind direct action fundraising. Rather than ask people to simply make a donation to your group, tie your request to a specific direct action your organization will be taking as part of its work. For example, ask people to donate $25 each to buy school supplies for needy children, or $50 to pay for 25 bricks in the new shelter you are building. Many people like to roll up their sleeves and get to work – they like to feel more involved in your non-profit than simply writing a check. If it makes sense for your organization, hold a “pay to work” event that combines fundraising and volunteerism into one great opportunity. With this idea, you ask people to make a donation in return for a position as part of your volunteer day. For example, let’s say you are painting a school. You could find 30 volunteers who are willing to pay a “reverse salary” of $50 each in order to be on the paint team. You might even be able to find someone to donate $500 to be the “foreman for a day.” Be creative. If you’ve got some really big news to share and want to break through the clutter and reach your biggest donors, think about doing a certified mailing campaign. 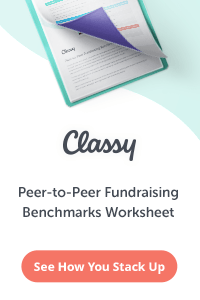 This is one of my all time favorite unique fundraising ideas, but it needs careful planning and the right list, as your mailing will only be done to big-time donors who already support your organization. Send out an e-mail to your top donors letting them know that you’ve got big… huge… monumental news (this assumes that you have such news, like “We’re moving” or “We’re raising money to start a new program” etc.) Tell them to watch their mailboxes. Then, a day or two after the e-mail, send your top donors a letter by certified mail that tells them the news, and why it is so important. Tell them why you need money, right now, in relation to that good news, and include a return envelope. People almost always open certified mail and read it carefully. 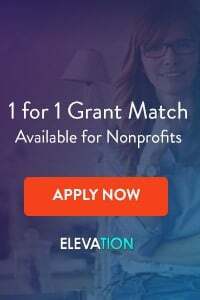 If you’ve got a good list, great news, and a good reason why you need the money, this might just be a great way to raise money for your non-profit. For the low-end event, I’d try to tie it in with the local community’s traditions. Instead of hot dogs or burgers and beer, I’d have Bratwurst und Bier for a German heritage community; or a Gumbo-a-thom in Louisiana, Big Apple dumplings or cheese cake in New York City, etc. Barbecue or chili should work almost anywhere in the South. My 2 cents (2 ideas) for the idea factory. Andrew- thanks for your comments and thoughts. Great ideas!!! For the low end event, I totally agree. Localized / personalized works wonders! For example, a non-profit I worked with in Philadelphia was throwing around the idea of doing a “Cheesesteak Crawl” (like a pub crawl, except the participants went from cheesesteak joint to cheesesteak joint, enjoying sample-size sandwiches at each). On the reverse raffle, I agree that it has to be done right, and that any one organization’s mileage will vary with this one. For the reverse raffle, not only have them sell back their ticket to get their name out of the drawing but can pay more to put your friends name on the ticket entered instead. There is a group in my town that does a thing similar to the reverse raffle without embarrassment. If your name is drawn you’re out and the last one left wins. The prize can be split between up to the top 3 if they choose to split and tickets are $100 per person they have local vendors provide food as a way to promote their business and do a 50/50 prize. It’s a hit every year. Great blog post! Whatever fundraising a nonprofit ends up doing, one important thing to keep in mind is that a nonprofit needs to be clear about where donor’s and supporter’s donations are going to. For example, a special education program fundraiser for a nonprofit might be that a $50.00 donation would buy books and school supplies for one student for the entire month. A visual image showing books, school supplies and a donation amount could be created and then that image could be posted on social media along with a link to your fundraising site.